What the Mobile World Convention 2019 showed to the world is that Chinese telecommunications companies are at the forefront of producing cutting edge, experimental, and unique designs that the mobile market has to offer. But, why don’t we see them in the United States? Undoubtedly, the US mobile market is over saturated with Apple and Samsung at the top, LG in a distant third, then Motorola, and maybe the occasional wildcard option like Google and OnePlus. Specifically, Apple compromises over 47% of the US smartphone market, Samsung follows with 22%, and LG at only 12%. Only 19% are comprised of all other smartphone brands available market, according to a 2018 report. The US consumer base is apparently trapped in the clash between giants Apple and Samsung, where Apple is taking the lead with almost half of the US population using its smartphones. There’s no diversity, there’s no differentiation, and that tends to get quite annoying. Aside from the on-going political and trade disputes between China and the US, Americans are less likely to veer away from the typical software configuration that Apple conveniently offers. But in return, they are missing out on new technology at prices they can only imagine. Let’s start the list with Xiaomi’s flagship Mi series. Xiaomi tends to combine high-end specs, conventional designs but at a lot cheaper price point. Some would consider their phones knock-off versions of popular phone brands. The Mi 9 has a notched 6.4-inch OLED display, a Snapdragon 855 processor, up to 12GB of RAM, an on-screen fingerprint scanner, and a triple-camera system with three separate focal lengths. The Mi 9 also incorporates wireless charging capability with a 6GB of RAM/128GB storage at only $450! Huawei’s latest flagship has an impressive Kirin 980 SoC, a strong triple-camera setup, an excellent curved OLED display, both 3D face-scanning and an in-display fingerprint sensor, and a massive battery that delivers class-leading endurance. This device could have easily been one of the best phones available in the market, if not for its hardware. Priced at $1200, this could be a good contender. Huawei Mate X recently made its debut at the MWC in Barcelona and is pegged to be the leading smartphone with technology involving foldability features and topping Samsung’s Galaxy Fold. Huawei Mate X turns into a more prominent 8-inch display once unfolded from its 6.6-inch and 6.32-inch estates. It also sports 5G capability with its Kirin 980 chip embedded with the company’s Balong 5000 5G modem. The V15 Pro is taking a full screen to another level. It is purely a 6.39″ (16.23 cm) display with a screen resolution of 1080 x 2340 pixels. Vivo achieved a full-screen display without little black spots covering the screen through a 32-megapixel camera that pops up when you need to take a selfie. This is also the first phone to use Qualcomm’s new mid-to-high-end Snapdragon 675 processor, and performance proves to be impressive. The Vivo V15 Pro is only priced $400! The OnePlus 6T is also introduced with on-screen fingerprint detecting design with the Snapdragon 845 processor with 6GB/8GB RAM and 128GB or 256GB memory. It is also able to include 3700mAh of battery power. The camera has a 16Mp front camera and a 16Mp/20Mp rear cameras. The OnePlus 6 can deliver one of the best photos, performance and battery life at only $550. 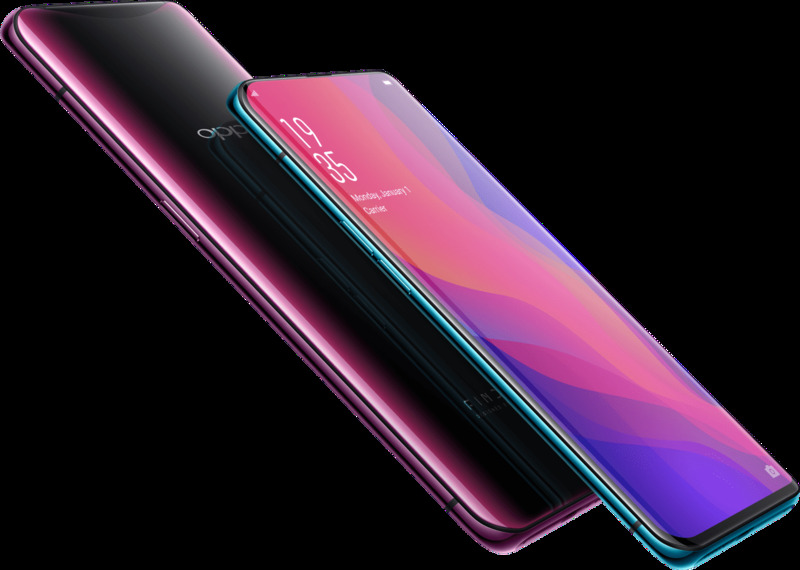 One of the best phones announced last year; the Oppo Find X is the best attempt at a full screen on a smartphone in the market. Enabled by Oppo’s stealth cameras, that they say would revolutionize the smartphone industry. It also runs on the impressive Snapdragon 845 processor 8GB/256GB RAM with 3730mAh battery power. Priced at$1,200. There are other choices out there! Don’t get caught up buying a phone that promises to be cutting edge for outrageous prices just because they said so. We’re telling you, the future of the mobile market is in Chinese-led companies. Next articleAn Epidemic: Measles Or Misinformation?